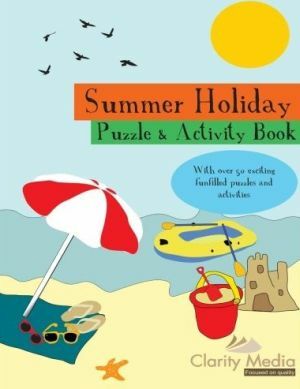 The Summer Holiday Puzzle and Activity Book is a full colour illustrated publication that is designed to provide hours of solving fun for children. There is a large range of different puzzle types in this book. 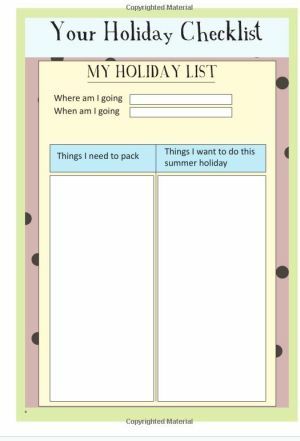 That includes word puzzles such as crosswords and wordsearch, hidden word puzzles and text message puzzles, through to creativity puzzles whereby there are pictures to complete, dot-to-dot puzzles to solve, spot the differences to spot differences in and a large range of other puzzles besides. This collection of eduational and fun puzzles is attractively laid out and designed with colour throughout. There is a holiday theme running through the puzzle book, whether it is in the design or the puzzles themselves. If your child enjoys solving puzzles then this book is sure to provide many hours of absorbing enjoyment. It is also designed to be educational and so tests word skills and vocabulary, attention to detail, memory, number and maths skills and even logic too. There are also solutions at the back of the book so if there are any puzzles that prove a tougher challenge the answers are all there ready to enlighten or to help - or simply to provide confirmation that an answer is correct.